The Bay Club is excited to learn that Chef Stacy Cogswell will be featured on Season 12 of Bravo’s Top Chef which premieres on October 15. Stacy was a key member of our kitchen staff when the club opened, leaving us in 2006 to pursue a new restaurant opportunity in Boston. She is currently the executive chef at the Regal Beagle in Coolidge. 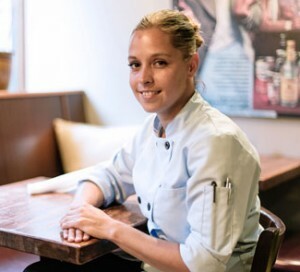 Her resume also includes stints at such other notable Boston restaurants including Bouchee, Atlantic Fish Company, and UpStairs on the Square. The Golf House kitchen staff is not surprised at Chef Cogswells’s success and newfound notoriety. Stacy was not only a focused and serious team player, but one of those rare employees that from the get go showed real culinary promise. We are all thrilled and proud of her. We will be watching and cheering for Stacy! Bay Club Member Johnny Hiller Headed to Augusta! 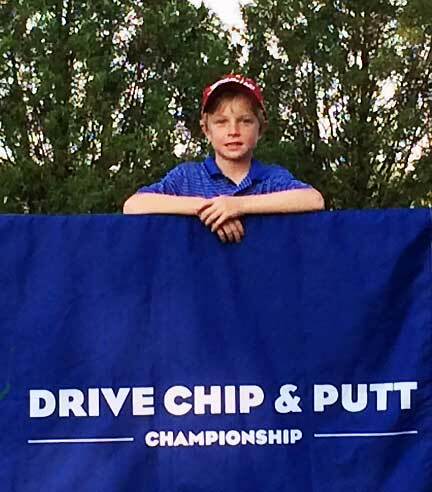 Johnny Hiller won the boys 7 – 9 age group on Wednesday, August 27 at the Drive, Chip & Putt (DCP) Regional Finals at Bethpage State Park to advance to the National Finals at famed Augusta National. Johnny was one of thousands of boys and girls aged 7-15 that attempted to earn a similar trip. His road to Augusta has seen him advance in Local Qualifying at the Bay Club in early July to Pinehills Golf Club and the sub Regional in early August. After capturing the top spot at Pinehills, it was off to Bethpage for a winner take all opportunity. Johnny posted an early high mark and watched as competitor after competitor failed to match or top his score. As a winner at Bethpage, he will be heading to Augusta National for the National Finals being played the Sunday before the 2015 Masters Tournament. Drive Chip and Putt New England is a national junior golf initiative in collaboration with The PGA of America, United States Golf Association, and the Masters Tournament Foundation. DCP New England hosted eight local qualifiers for boys and girls ages 7-15 with separate divisions for each gender and with each division split into four age groups. We wish Johnny all the best in his quest for Augusta…Good luck Johnny!